How to Buy Puppies Safely Online! Buying a puppy online is a rewarding and fun experience that you will remember for the rest of your life. 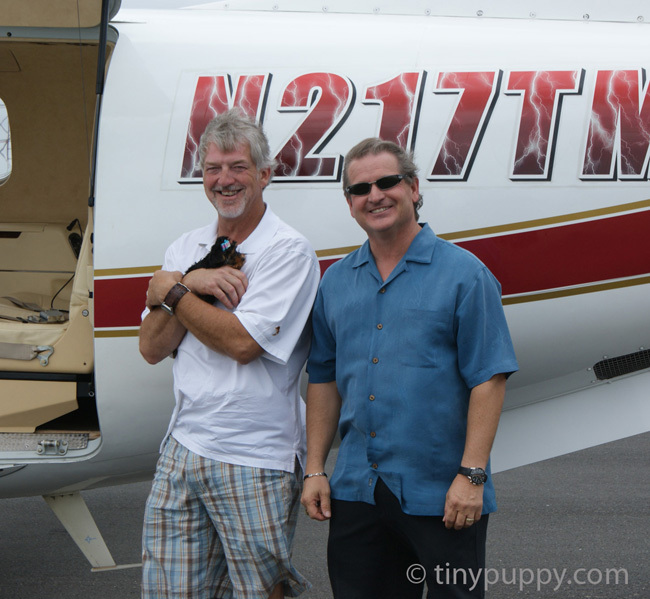 There are wonderful breeders that love their puppies and want to find the best home for them. Responsible breeders breed happy, healthy puppies whether they are for the Show Ring or Pet Quality. 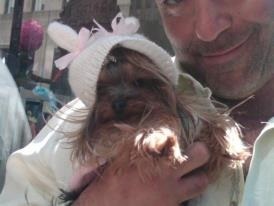 However, there are breeders that don’t take proper care of there puppies and others that run scams. Often I see shows on TV that tell you not to buy a puppy online. This in not fair to the honest breeders that work very hard to provide you with a wonderful puppy and companion. What they should be doing, instead of telling people not to buy online, is to help teach people the safe way to buy a puppy or anything else online. I am telling you it is safe to buy online if you are smart about it. There are precautions that you should take when buying a puppy or anything else online. The internet is a wonderful thing and a wonderful tool to help you find that beautiful puppy and companion that you have always dreamed of. Get references for the breeder. Talk to the breeders veterinarian office. Vets can not talk to everyone that calls but you can call if you are seriously going to buy a puppy and talk to the office. . Ask questions about the puppies lifestyle. How is the puppy being raised? Is their a potty training program? How often do they receive their shots? How often do they get playtime? A responsible breeder will have this in writing so you will know what to expect when you receive your new puppy. Do they have a warranty? tinypuppy.com offers a One Year Genetic Warranty. Make sure the puppy is actually at their site or in their possesion. 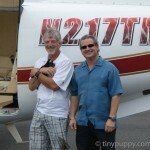 If you notice all of tinypuppy.com’s photos have ©tinypuppy.com with our web address on them. This is to prevent people from stealing our pictures and trying to sell our puppies when they don’t even have it. If you feel uncomfortable about a puppy picture, have the breeder take a picture of the puppy with your name on an index card in it. This will show that he/she actually have possesion of the puppy. Payment should be made securely using a credit card or Paypal. If you pay with your credit card you can have the transaction reversed if you do not receive your puppy. Never send a payment with a money order or through Western Union. These are not safe. Unless you know the person you are buying from this is not safe. Once the money has left your hands with Western Union there is no way to recover it. Be smart and use a safe method of payment. Many times I have people wire me money through their bank. They do this because they trust me. If you do not trust someone do not wire money. They can call my vet or bank and make sure I am a person they can trust. One last thing. No deal is too good to be true, and no deal is a guarantee. You won’t find a yorkie or a bulldog for $200 when they normally sell for $2,000 – $3,000. Use common sense, and be cautious as you would in any financial transaction. Many of these scammers are relentless, and will do anything to get your money. If you think you’ve got a scam on your hands, contact the FTC toll free hotline: 877-FTC-HELP (877-382-4357) or visit them at the FTC, or Internet Fraud Complaint Center (IC3.gov). Most of all HAVE FUN! People often ask me how I do it. Letting our precious puppies go when we get so attached to them. Sometimes it is hard, but when I hear that person on the other end of the line after they receive their puppy and how excited they are, it is worth it all. You may have encountered some odd e-mails or read some strange ads on the site recently. Unfortunately, some of the ads on the site might be sent by scammers from out of the country that lure buyers and sellers with what may look like great deals. These scams usually involve a desperate buyer who will do anything to buy your pet, and often they will give themselves away with poor written English skills, or overly formal written language. Watch out for both styles! And watch out for desperate sellers too. Sometimes their ads get past our filter, and may look seemingly real, though they usually feature ads for the most popular breeds at the lowest price. These sellers are usually just trying to unload a scam. Never deal with anyone far away, especially in International locations, there’s a 99.9% chance it’s a scam. Most of these scams come from Africa, and most of these ads involve popular breeds such as Yorkies, bulldogs, and expensive birds. They usually ask for a money order or cashiers check, and never put up their end of the bargain. Some of these scammers are good, and some are American, so they’re English is perfect, and they may come off as genuine buyers/sellers. The best way to protect yourself from these scams is to use a payment method that has protection, or better yet, to meet the person buying/selling. This is after all a living pet, so you should see the pet in person before making any serious decisions. Meeting the seller/buyer in person will eliminate up to 99% of the problem, and is the best practice to avoid a scam. If a buyer/seller is very hesitant to meet face-to-face, you’re likely dealing with a scammer. NEVER give out any of your financial information, including Paypal information and other online financial details. NEVER wire funds using Western Union or Moneygram. And know that often cashiers checks and money orders turn out to be fake, even weeks after your bank cashed them. And they will ask you to pay the money back.